Use these 5 ways to help keep your computer secure from malicious attacks and unwanted eyes. Chances are, if you’re reading this post, you frequently use a computer and surf the web, right? While the internet has changed a lot in the past 15+ years, I’ve loved it since the first time I used it back as a pre-teen in the mid 90’s before the internet really became mainstream. I know I certainly couldn’t imagine my life without the internet and computers now. However, with the awesomeness that is the internet, there are also negative consequences such as increased security risks of unwanted eyes getting to your personal information, pictures of your kids, etc. With the help of Mr. Savvy who works in network security, here are 5 ways to help keep your computer secure, which can go a long way to stopping any threats. 1. Back up your files regularly. Okay, so this isn’t exactly a way to keep your computer itself secure, but I always suggest having a solution just in case the unthinkable happens. Many security threats these days involve damaging your files and/or computer beyond use which leads to having to erase everything on your hard drive and having to start over. Have all your important documents and pictures backed up regularly, just in case. Plus, this is a good idea not only for security, but also in case of hardware failure. 2. Keep your software updated. It can be annoying to keep all your software updated, but it is a must for security as most updates include security fixes, especially operating system and Flash updates. Yes, updating can sometimes break things, so I follow tip #1 and backup, and often wait a week before updating to make sure all the bugs are fixed. 3. Use strong passwords. This probably seems like a no-brainer, but it’s still quite common for people to use the names of their kids, pets or birthday numbers as passwords. For a truly strong password you should use something that is completely irrelevant to your life, and in fact, not a word at all. Use a combination of upper and lower case letters, numbers and punctuation marks for the strongest passwords. 4. Don’t get click happy. It can feel like you’re having a small heart attack when you see an email from your bank or credit care issuer, or are browsing the web and have a popup come up that have a Windows error or virus. However, DON’T click on any of the links or windows! No matter how real these look, they are often phishing scams wanting to get your passwords, etc. Instead, go directly to the website of your bank, etc. or open your antivirus program. If there’s some sort of issue, you’ll almost always have an alert within the account itself. 5. Use a quality internet security program. Speaking of antivirus, a good quality internet security program is a must these days. A security suite can not only protect you from viruses and do daily scans, but also monitor your firewall for suspicious connections and more. I don’t recommend some of the more well-known names like Norton and McAfee that I first used in my first internet days as they often don’t catch some of the more stealthy malware and can really bog and slow down a computer. 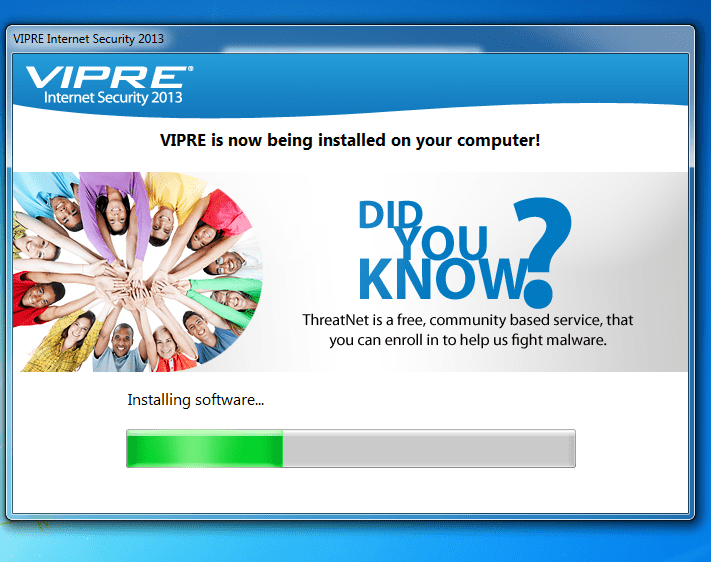 One security program I have been using lately is VIPRE internet security and I have been very pleased with it. It not only doesn’t slow my system down, but actually finds issues with my computer security and fixes them, but is also extremely easy to use. Want to try out Vipre Internet Security for yourself? Just head over to the site and scroll down to the green Download VIPRE now button and you’ll get a free 30-day trial. Then just open the program once it’s downloaded and it will guide you through the rest of the installation process. Easy internet security peasy. 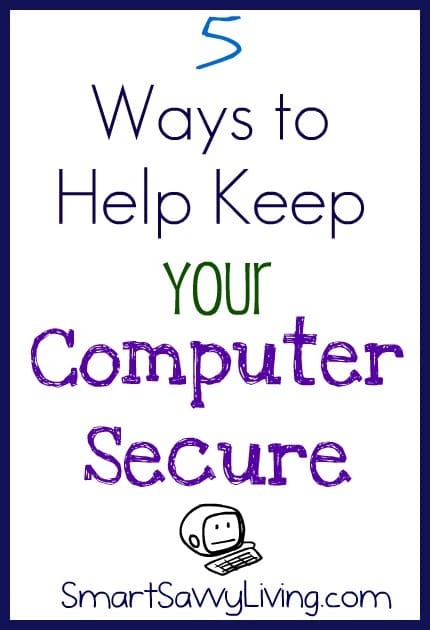 Do you use any other Ways to Help Keep Your Computer Secure?